Today American Friends Service Committee joined over 35 organizations and hundreds of Georgians rallied together at the State Capitol. 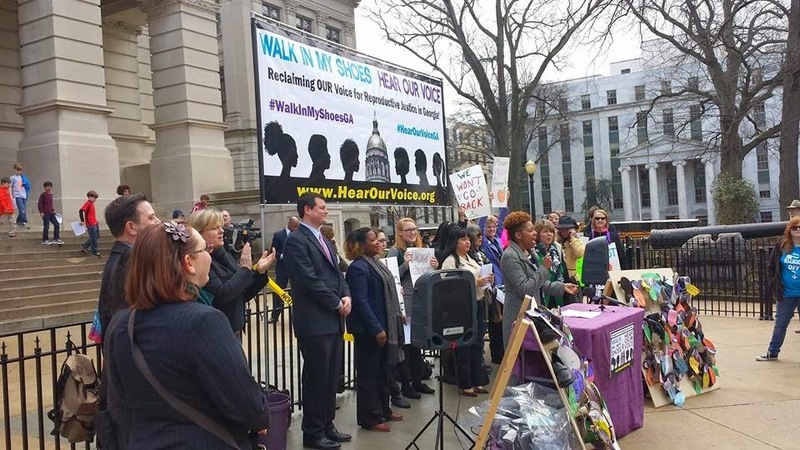 The event, “Walk in My Shoes, Hear Our Voice,” protests proposed bills that are discriminatory, restrictive, and dangerous. “The extremist attacks on the rights of Georgians must stop. The string of legislation attempting to control and discriminate under the guise of religious freedom is offensive. We won’t go back to a time of inequality. It is time for Georgia to move forward,” says Jaime Chandra, Marketing & Communications Manager at the Feminist Women’s Health Center. 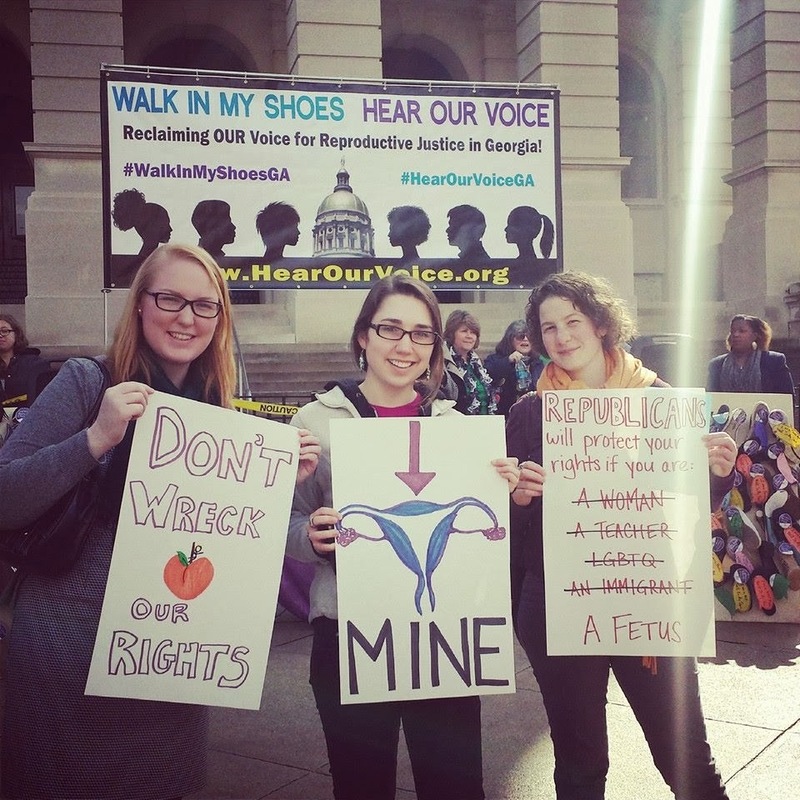 SB 98 would limit coverage Georgians purchase with their own money through the ACA exchange that provides comprehensive reproductive health care benefits, including abortion. State employees would also be denied this coverage in law. This bill changes the insurance coverage that Georgians have right now; most insurance plans cover abortion, but this bill removes those benefits with dangerously narrow medical emergency exceptions. SR 1031 would amend the Georgia State Constitution to declare English as the official language. This resolution would remove multi-lingual driving tests and the ability of elected officials to speak a language other than English while performing official actions of the state. SB 334 & HB 707, “The Georgia Health Care Freedom and ACA Noncompliance Act,” would do exactly as the title suggests. It aims to prohibit any local or state government entity from engaging in activity that aids in the implementation of or education regarding the Patient Protection and Affordable Care Act. State employees would be prohibited from referring people to the ACA exchange website or phone number, creating barriers to accessing affordable healthcare. HB 990 would require Legislative approval to expand Medicaid, prohibiting Georgia’s Governor from executive authority. Medicaid has already proven to lower infant mortality, increase access to preventative care, and ensure women preventive healthcare throughout all life stages. Since many pregnant women go into labor with chronic health problems, preventative health care access is crucial to reducing pregnancy-related deaths. This bill would delay the critical decision Georgia’s Governor is already empowered to make with one stroke of his pen. 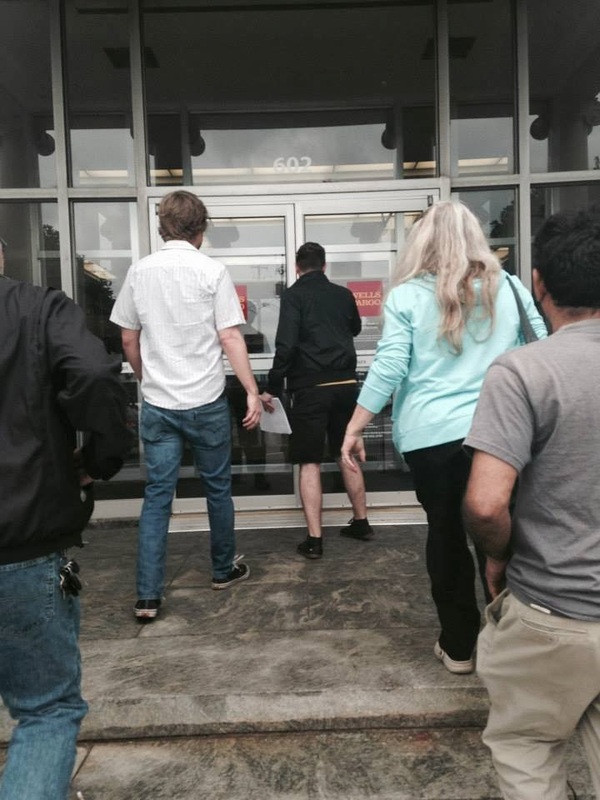 Yesterday there were 15 cities across the country the participated in petition deliveries and protests at Wells Fargo bank branches. Lats year Wells Fargo profited more then any other bank in the country yet there continues to be wide spread reports of illegal foreclosures, wrongful evictions, dual tracking, and a general unwillingness to negotiate with struggling homeowners many of whom have already lost all their wealth after the housing crash in 2008. The petition delivered in 15 cities yesterday was for 86 year old Grandmother Lavinia Curry. Lavinia fell behind by one payment before Wells Fargo moved forward on her foreclosure process. Lavinia and her family have tried to catch up the payments but Wells Fargo has refused to accept the families money instead moving forward with putting the 86 year old out of her home. Read more about it and sign the online petition here. 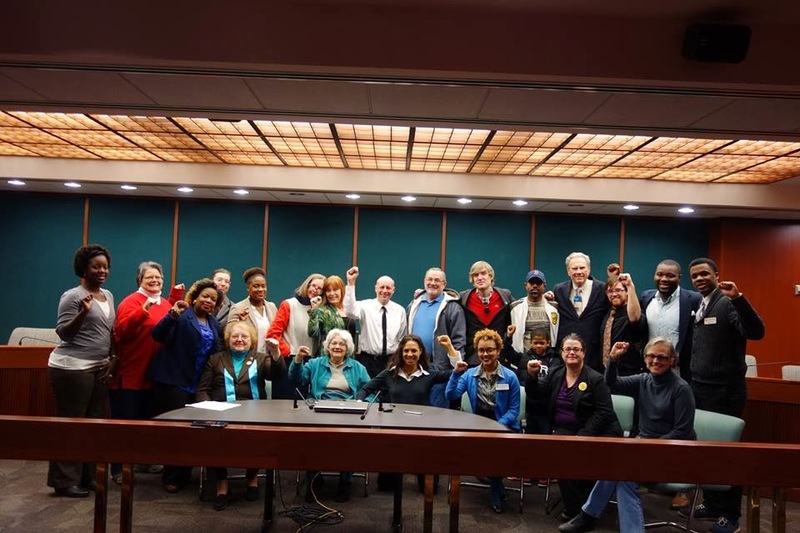 American Friends Service Committee was excited to participate in the Atlanta petition deliver with was quickly organized alongside Occupy Our Homes Atlanta. It was especially exciting that half of the people that participated in the letter delivery are or have been in an active housing fight with one of the big banks. 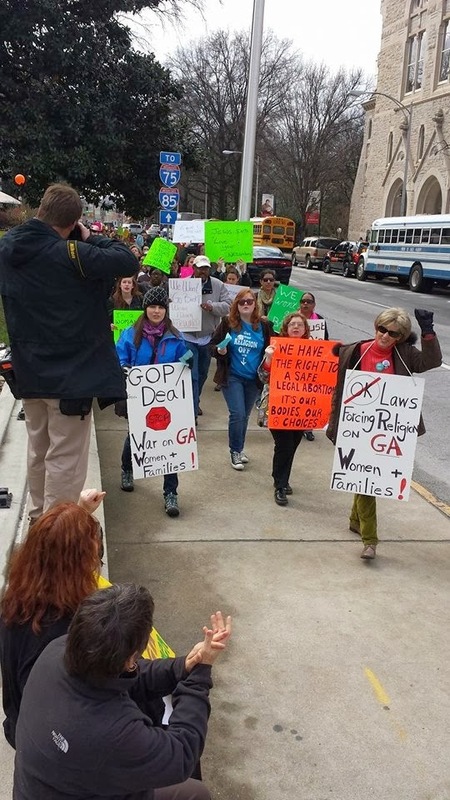 Over the course of Georgia's 2014 legislative session the American Friends Service Committee has been excited to be able to play a leadership role in launching Georgia's Moral Monday movement. 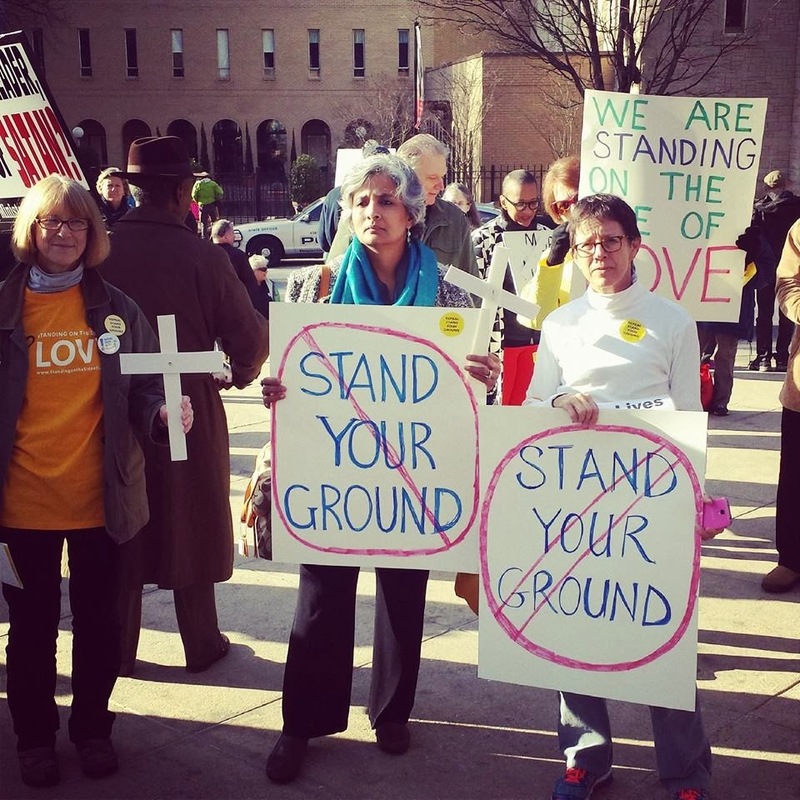 We were all inspired by North Carolina last year and as 2014 approached many had come to believe that the Moral Monday model could be an effective southern strategy. 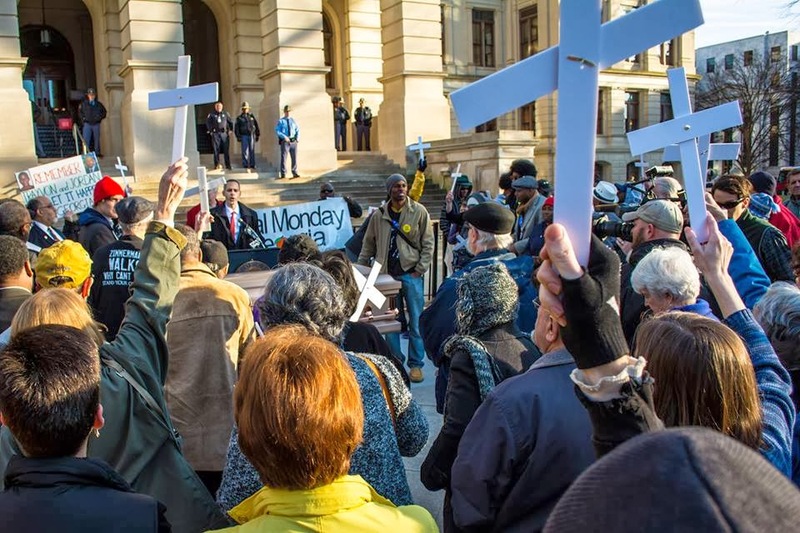 Since Georgia's 2014 session began there have been a number of Moral Monday Georgia actions at the State Capitol. 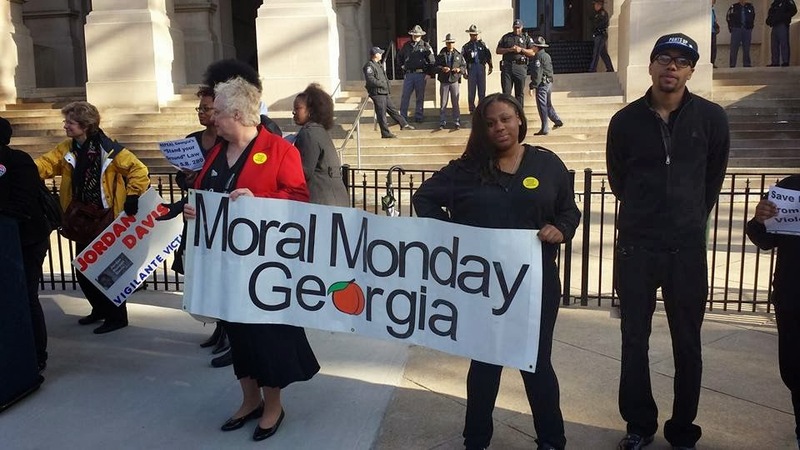 Over the course of two of those actions over 30 Moral Monday Georgia coalition members participated in very principled nonviolent civil disobedience. "We are young, we are old, we are black, we are white, we are gay, we are straight, we are men, and we are women. Many of us are very religious, some are not. As a group we are not aligned with one political party. We have many differences, we are people who would normally not mix, but there is something that has brought as all together for a cause we believe so deeply in that we have been willing to put our freedoms on the line. We believe that Georgia has been high jacked by an extreme radical agenda that our state simple can no longer afford. Year after year we see a budget and tax code the benefits a few at a cost to everyone else. We see the standard of living going down for the overwhelming majority for the benefit of those that already have too much. We see the majority of our state’s politicians acting in the interest of big business to the detriment of everyday Georgians. So we have come together to build a Moral Movement in our state, to remind our elected officials who they are accountable to. We believe our state budget is a Moral document, and that all Georgians should benefit from our state's prosperity, not just the rich. We are in a crisis of economic priority, not one of economic resource; we know there is enough to go around. So far over 30 of us have been willing to put our freedom and public records on the line to bring attention to this extreme radical agenda. On January 27th 10 members of the Moral Monday Georgia Coalition refused to leave Govenor Deal’s office until he expanded Medicaid to Georgians, a move that would bring health care to an estimated 600,000+ uninsured Georgians and 70k good paying jobs to our state at no cost initially. Ironically struggling Georgians pay for people all over the country to have these benefits yet we are denied do to our Govenor’s ideological stubbornness. 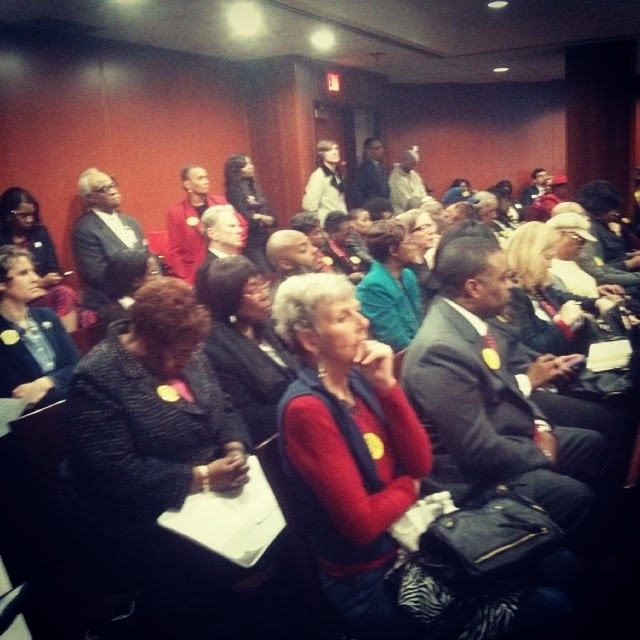 On Monday February 10th 24 of us held a sit in State Senator Jesse Stone’s office because he refused to move forward SB280, which would repeal Georgia’s Stand Your Ground law, a law that has a proven track record in making our state less safe, and has come to represent the legalization of modern day lynching. We have risked our freedom because we believe that everyday Georgians are worth fighting for, we believe our standard of living should be on the rise, not decline, we believe there’s enough to go around, we believe that the least of these is worth fighting for, we believe that a Georgia that prioritizes education, health care, women's rights, LGBT rights, good jobs with fair wages, fair housing practices,racial justice, and environmental justice is possible and worth fighting for." 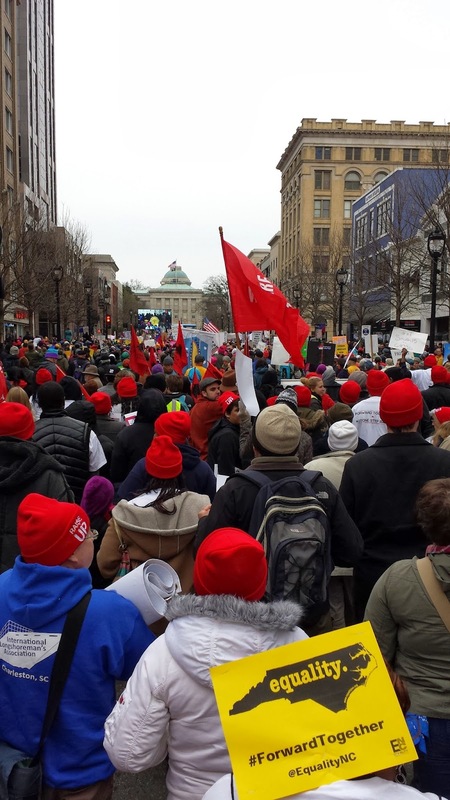 Today tens and thousands converged at North Carolina's capitol city Raleigh for Moral Monday's Moral March. A healthy contingent of Georgians marched together in what will be remembered as one of the larger mobilizations in the south in many decades. Labor rights, women's rights, LGBT rights, housing justice, environmental justice, public educations, medicaid expansion, a reform to the prison industrial complex, and an end to the attack on voter rights we all brought up as major focus areas for the movement. 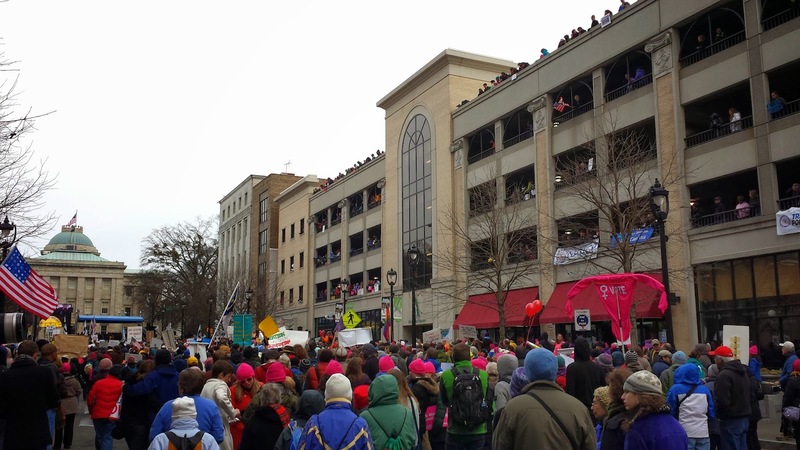 While it was clear that the majority of the crowd was from North Carolina, there were hundreds of people who travelled from around the south to be a part of the Moral March. It also seems clear that the Moral Monday movement is being seem as a southern strategy by a growing number of southerners. 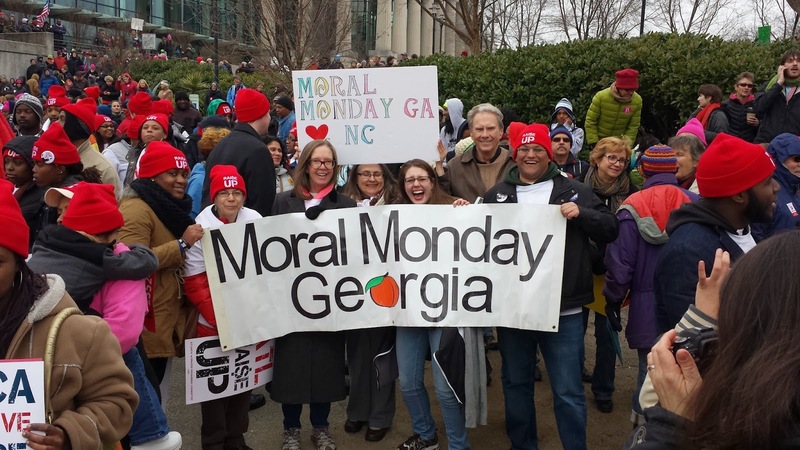 Join Moral Monday Georgia this Monday at 4pm at the Georgia Capitol! 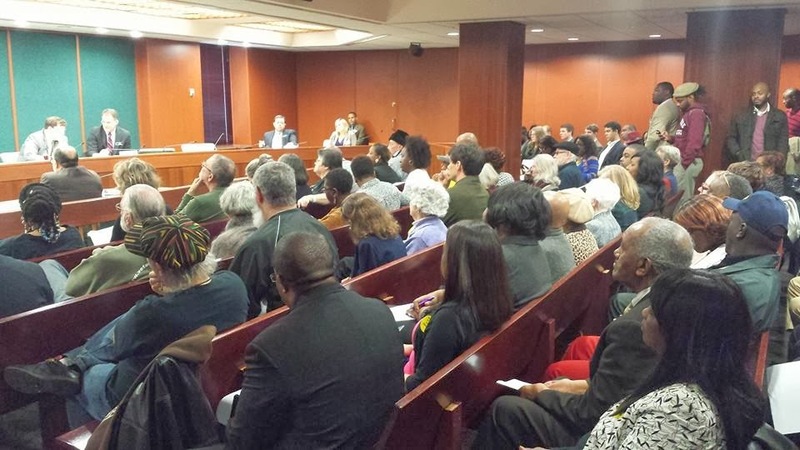 This Past Wednesday over 300 Georgians Packed two Senate Hearings on gun related legislation in Georgia. The overwhelming majority of attendees were there to oppose radical, unsafe gun laws including that make it legal to shoot first and ask questions later, make it legal to carry a gun in church, a bar, or a school campus. Sadly, despite the standing room only turnout to both hearings, law makers decided to move forward with a with a very radical pro-gun agenda that disregarded multiple research findings that make it clear these laws make Georgia less safe. HB 875, the law the would make it legal to bring a gun into a bar, a church, or on a school campus amazingly passed through it's committee despite the overwhelming number of folks in the committee meeting that spoke out against the law. 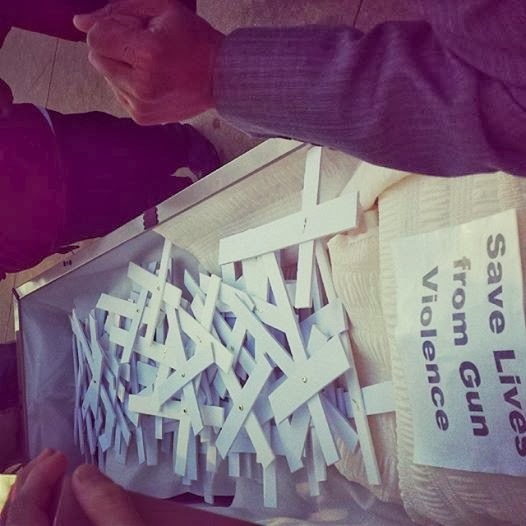 Dozens of faith leaders from various faiths pleaded with lawmakers not to allow guns in their churches. One gun rights advocate was overheard in the crowd claiming that Sandy Hook was a hoax perpetuated by those that want to take our (his) guns away. SB 280, introduced by Senator Vincent Fort, would repeal Georgia's Stand Your Ground law. There was almost no one in the packed heating room that wasn't wearing a yellow sticker that read, "Repeal Stand Your Ground". Georgia's Stand Your Ground law not only makes it ok to shoot unarmed people as long as you think they are a threat, it has also come to represent the idea that African American life is worth less in the south. Georgia's Stand Your Ground law has also been proven to make our state less safe, not more. After hearing just one person testify the Senate Committee shut down discussion and essentially killed the bill. We're asking you to join us, this Monday at 4pm at the Georgia Capitol. We can't afford our own lobbyist, so let's make our voices heard and show up! Forward together, not one step back! Sign ans share the online petition to repeal Georgia's Stand Your Ground law! 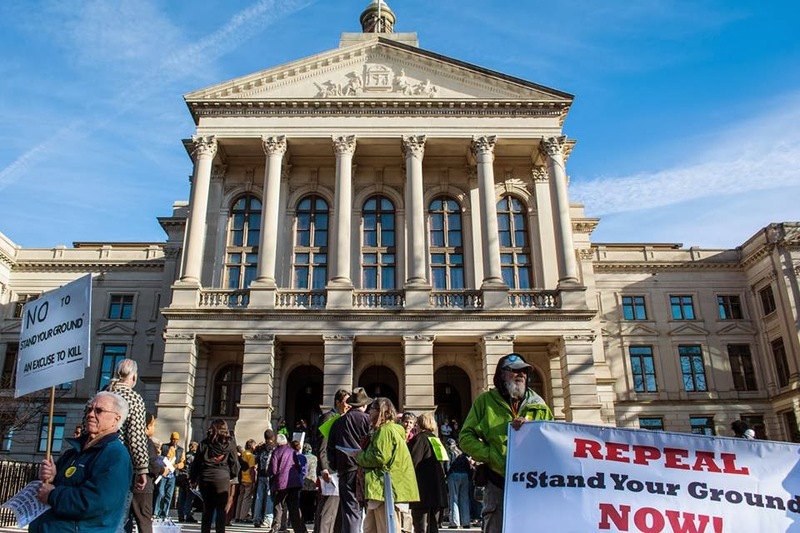 Today around 150 Georgians rallied to the Capitol to in an effort to challenge the extreme gun lobby agenda that's upon the state legislators this legislative session and to urge law makers to repeal Georgia's Stand Your Ground law. Some of the outlandish gun related legislation up for debate this year include a bill that would make it legal to carry a gun to Church, on a school campus, and even at a bar. A few weeks ago Senator Vincent Fort introduced a bill that would repeal Georgia's Stand Your Ground law, SB 280. Even some that disagree with gun control legislation see the problem with Stand Your Ground laws, which were introduced in State Houses all over the country after the American Legislative Exchange Counsel created draft legislation. Stand Your Ground essentially makes it legal to shoot anyone who you think is a threat, whether they are armed or not. It's basically a license to shoot first and ask questions later with impunity. Today was a day to bring attention to the fundamental moral problem with Georgia's Stand Your Ground law, mourn the loss of young life that has been taken as a result, and commit our self to a path that sees us put such barbaric legislation behind us. If you can't make it please consider calling a member of the committee and encourage them to do the right thing, repeal Georgia's Stand Your Ground law, pass SB280! Finally Join us at the Capitol next Monday 4/17 at 4pm Sharp for a different kind of Rally at the Capitol. 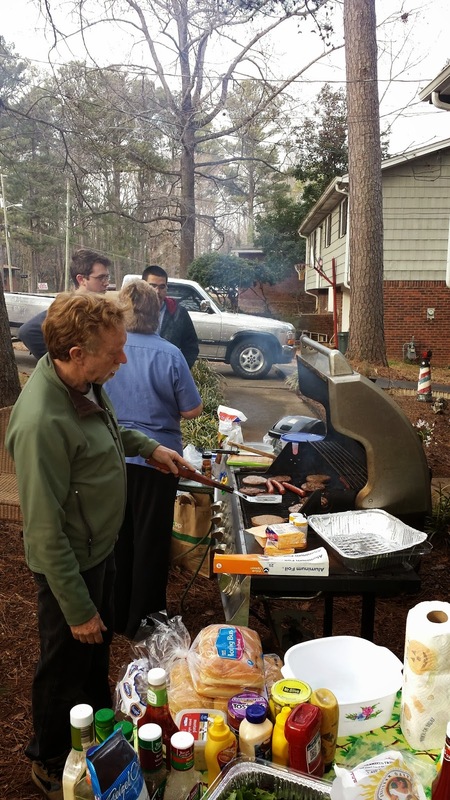 This past weekend Tony and Ladora Santoro organized a foreclosure free cookout at their home near the Big Chicken in Marietta. The Family bought the home in the mid 90's from Ladoro's parents, paid 20% down and were given a 7.5% interest rate. The family had been paying ever since until Tony was laid off. Ladoro took on an extra job at McDonald's, working 30 hours a week there and 40 hours a week at Waffle House. Eventually the family had to go to Wells Fargo with their hardship, asking them for a modification. Instead of working with the family Wells Fargo began to move forward with the foreclosure process despite the face that the family was making partial payments and could easily afford a modified mortgage amount. Despite the fact that Tony has just gotten a new job Wells Fargo had still not agreed to work out a solution for the Santoro family. 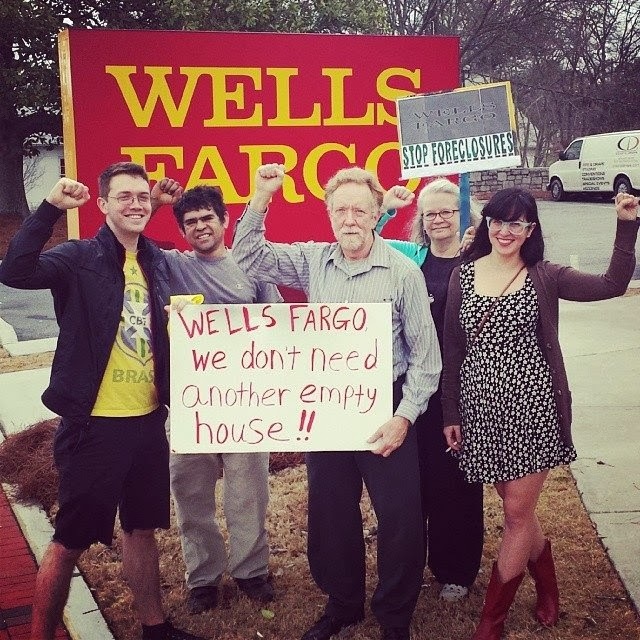 So on Saturday friends, neighbors, and family came together to send a message to Wells Fargo that the Santoro's will not be leaving their home. 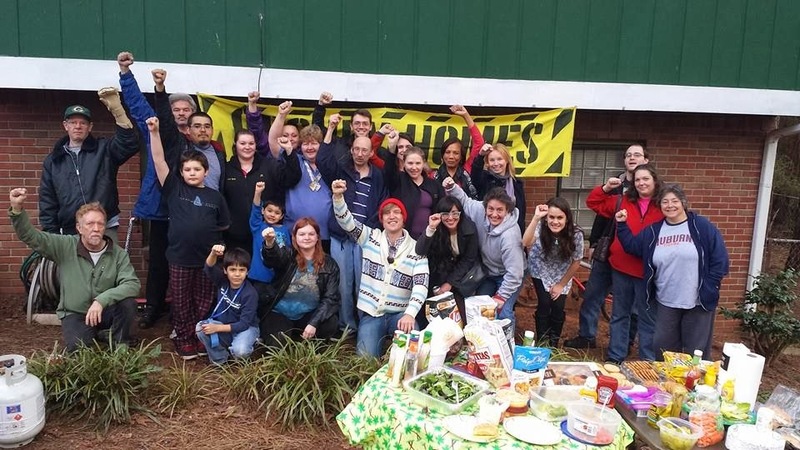 American Friends Service Committee has worked closely with Occupy Our Homes Atlanta in supporting the Santoro's campaign to save their home from Wells Fargo and look forward to supporting their efforts. The sad reality is that Wells Fargo would actually profit from a deal that would keep the Santoro's in their home, a home that has been in the family since 1976. We encourage folks to sign and share the Santoro's online petition by clicking here.